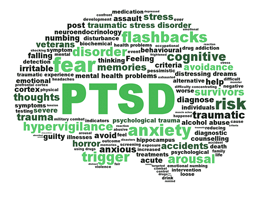 Presence of Neuropathic pain - listen to descriptors used by the patient in history taking - burning, electrical, mind of its own, area extra tender to touch. Allodynia. In general, these patients have a negative mindset on pain. They have passive coping skills like lying down, drinking pain medication, and expecting the clinician to fix them. They sometimes even look ill. 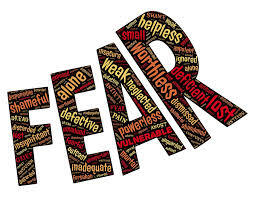 Ask the patient what are they concerned about, what fears do they have. For e.g. do they think that their spine is fragile and can easily be damaged? What movements or exercises are they avoiding? A combination of high levels of pain plus post traumatic stress are considered a high predictor of poor outcome after whiplash. Ask the patient how often do they think about the accident. Do they keep telling you about the accident? IES should only be done 6 weeks after the injury as it is normal to have these intrusive thoughts before that. Could be indicative of peripheral nerve damage, “changes in the central mediation of pain”, or changes in the sympathetic nervous system . General treatment strategies will be discussed below. 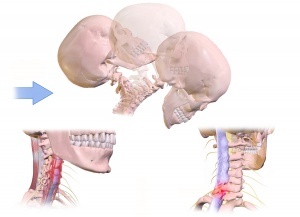 An interdisciplinary team approach is advised for patients that fall within in the moderate to high risk for long term pain and disability following a whiplash injury. cognitive restructuring - list/document/discuss pain related thoughts. Draw out negative thoughts to make them aware of them. Do you think this is helpful? What use is that? Replace with positive thoughts. Fear of movement and re-injury - controlled/supported exposure to feared activities. Support and coach them. Gentle desensitization techniques to treat widespread tenderness, exposure to aerobic exercise, slow and graded. Limited studies focus on this phase. Interdisciplinary treatment is most effective with manual joint manipulation showing some benefit. specific low load exercises for the neck flexor and extensor muscles as well as the scapular and postural muscles. Myrtveit SM, Skogen JC, Petrie KJ, Wilhelmsen I, Wenzel HG, Sivertsen B. Factors related to non-recovery from whiplash. The Nord-Trøndelag Health Study (HUNT). International journal of behavioral medicine. 2014 Jun 1;21(3):430-8. Pedler A. The Pain Catastrophising Scale. Journal of physiotherapy. 2010 Jan 1;56(2):137. ↑ 1.0 1.1 1.2 Spitzer WO. et al. (1995). Scientific monograph of the Quebec Task Force on Whiplash-Associated Disorders: redefining "whiplash" and its management. Spine (Phila Pa 1976)., 20(8 Suppl), pp. 1-73.